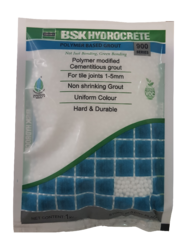 Leading Manufacturer of 900 series polymer base grout and cement grout from Ahmedabad. A carefully prepared blend of portland cement, graded aggregates, polymers and color-fast pigments, it is designed for joint width 1mm to 3mm, for porous & absorbent type tiles, nonvitreous clay tiles, and marble & glazed wall tiles. Suitable for interior and exterior applications. 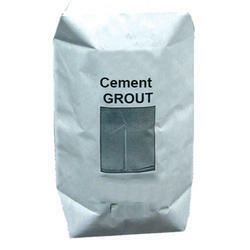 We are leading manufacturer and supplier of Cement grout.